With the imminent move to Frogmore Cottage Harry will likely become even more isolated from his family than he is now. 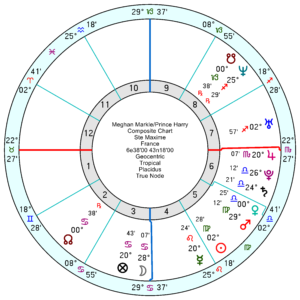 The dynamic of his marriage could also change if Meghan lavishes all her attention on the new baby once it arrives leaving Harry out in the cold. Hard to tell at this stage if the marriage will stand the test of time but the outlook for the next few years does look pretty bleak. 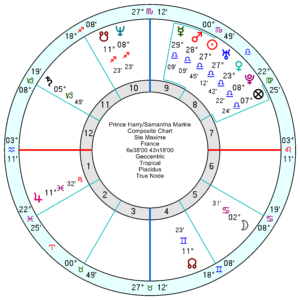 *Pluto in Capricorn opposes Meghan’s Ascendant and her father’s Sun ( both in Cancer), in the next couple of years, and triggers her father’s nodal axis a bit later. 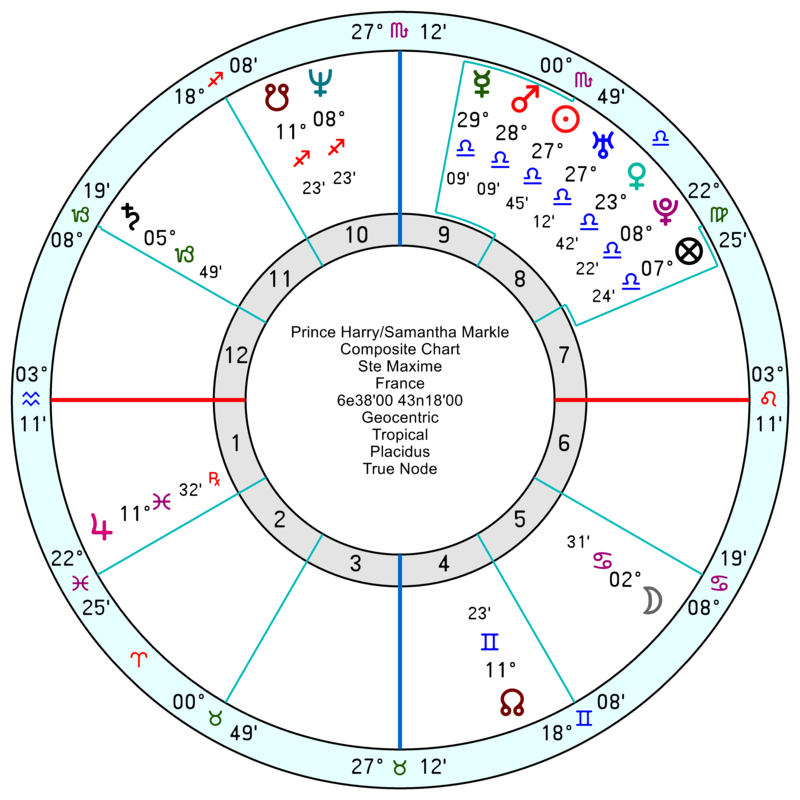 Chiron in Aries will oppose Meghan’s Libra stellium around the same time of the Pluto transits to her Cancer Ascendant…. 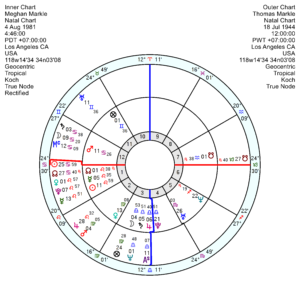 I think Uranus in Taurus will square Meghan’s Leo/ Aquarius nodal axis very soon…could that be related to a new birth of Taurus child? Meghan’s father supported her in ways that he was, perhaps unable, to support his older kids. 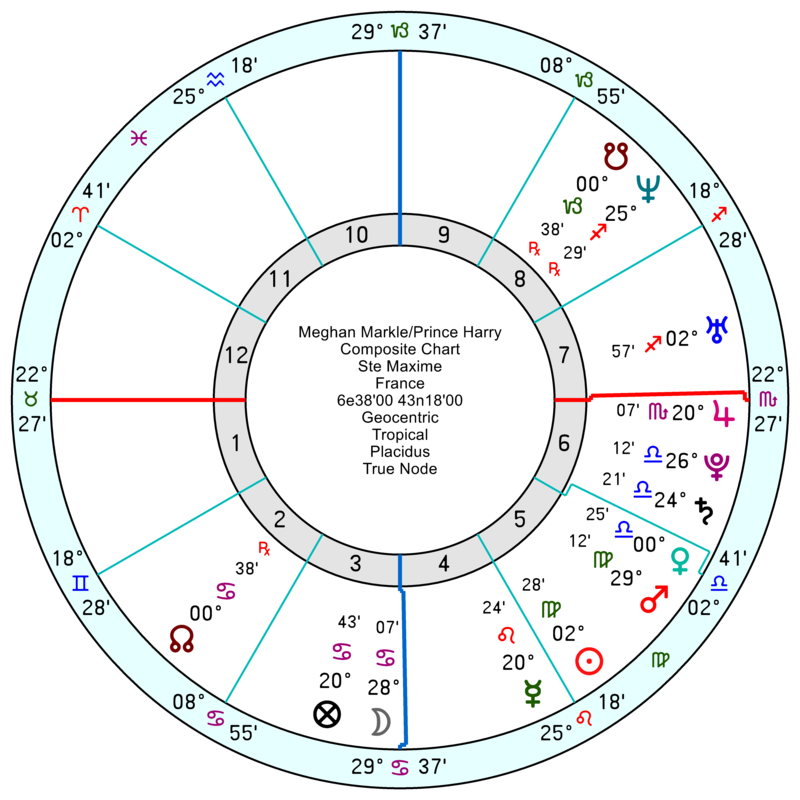 Surely, this is clearly indicated by Thomas’s Mars and Jupiter falling in Meghan’s second house of finance. 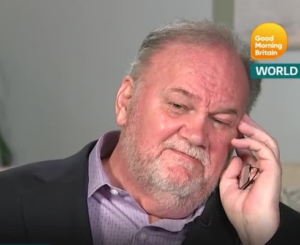 Yes, Meghan will have given later financial support to her father, in part acknowledging the huge investment he made earlier; he paid for a private education, university fees etc… I think Meghan acknowledged the support her father gave her, in her blog ‘Tig’ (?). But this all fizzled out as she became known for her relationship with Harry. Are there no advisers in place on how to handle awkward family members? Remember Fergie’s father and the ‘masseurs’ – it was ‘gossip’ for just a weekend – then forgotten. The media are exploiting this family crisis, (I don’t think just one party is to ‘blame’). 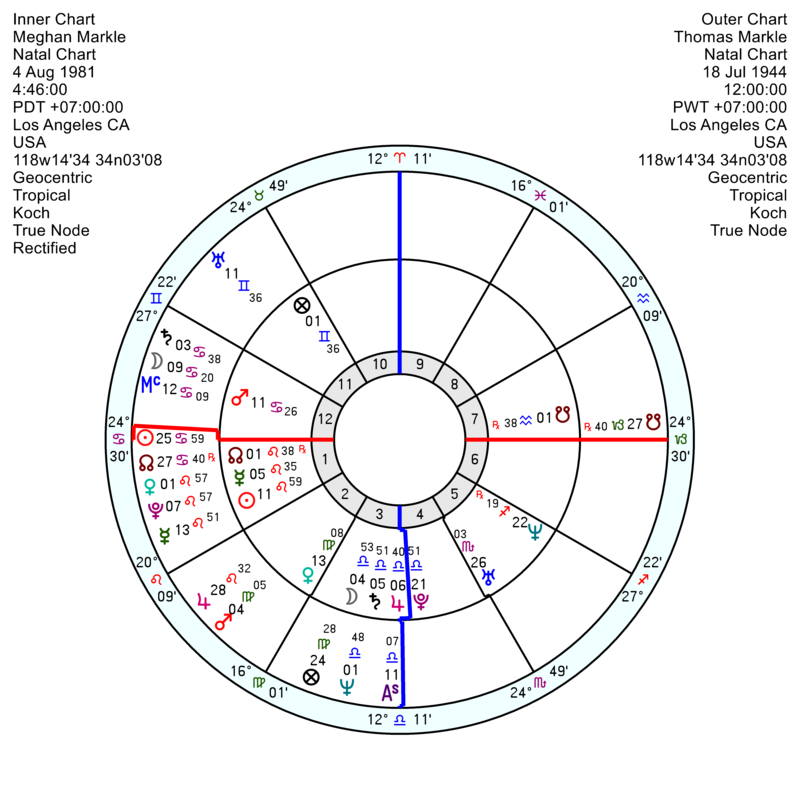 Pluto goes over Meghan’s ascendant and her father’s Sun next year which is not ideal. The online bullying, fuelled by the media, is totally out-of-control. Various newsline from various media sources. Frankly, it’s sickening to read the hens’ and crows’ opinions about what to wear…and when…and how. Whereas Kate, dear sweet Kate is all in tears. Let’s solve it by making another royal baby. Oh, we simply cannot forget Pippa with the pretty bum – THE English socialite, author, and columnist. How exciting to be an English socialite and expert on English gossip. An earlier post suggested that her father cloud have been paid to shut up and disappear. His attraction to $$$ might have been piqued. Too far along for that. There are those here on the blog and on the streets are looking for any reason to act like crows to circle and peck apart the marriage. It may end up doomed. And the circus audience claps and cheers for the next ampitheater act. All this spite directed towards the couple. I wish that circus audience would take a long, hard look at itself in the mirror. Poor Harry I’m sure his mother would be heartbroken to see him going through all this.